Rivonia01263 715779work01603 870304fax Self-cateringRivonia is a nicely furnished, comfortable property within a quiet residential park in Trimingham, near to the quaint seaside village of Mundesley. The park has some excellent facilities such as a club house, swimming pool, laundrette, bar and coffee shop as well as entertainment on selected evenings! 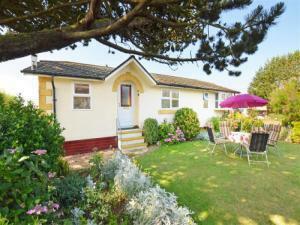 Outdoors: Enclosed with lawn, mature planting, patio and garden furniture. Site Facilities: Swimming pool,club house, coffee shop, bar and entertainment on certain nights of the week. Rivonia is a nicely furnished, comfortable property within a quiet residential park in Trimingham, near to the quaint seaside village of Mundesley. The park has some excellent facilities such as a club house, swimming pool, laundrette, bar and coffee shop as well as entertainment on selected evenings!